He notes the difference between those in Italy – used objects dedicated largely by soldiers and sailors, thankful for their own survival – and those in France – written petitions made by friends and family invoking a safe return for those whose lives remained in danger. These two examples encapsulate perfectly some of requests made in the ancient world: thank-offerings and petitions for protection. 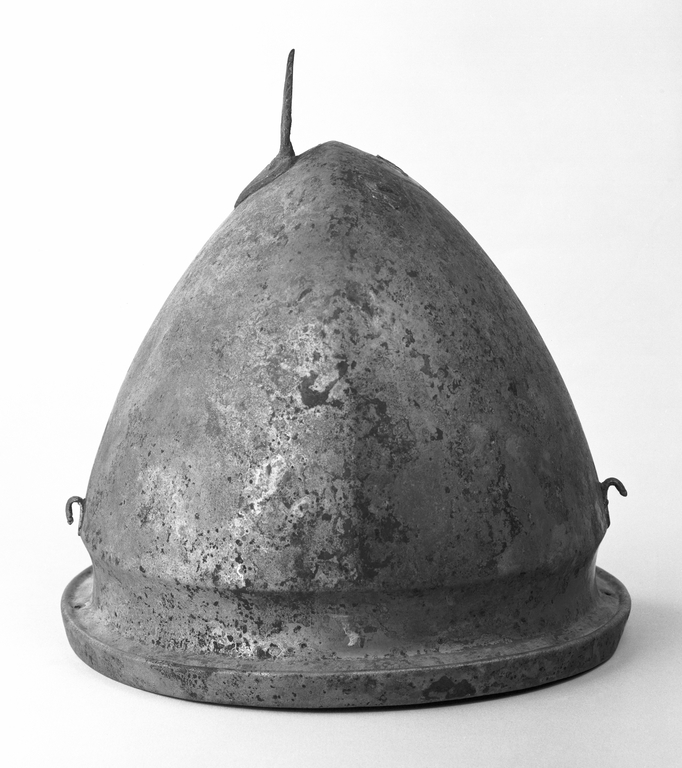 Indeed, as a scholar of the Classical world, McCartney compares these offerings with those with which he is familiar, including the dedication of individual pieces of arms and armour – the equivalent of bullets and bayonets – as well as the famous bronze helmet dedicated at Olympia by Hieron in order to commemorate Syracusan victory over the Etruscan and Carthaginian fleets off Cumae in 474 BC. Having witnessed ex-votos dedicated in relation to a war that for him was so familiar and dreadful, McCartney evidently felt that he could better understand the power of their ancient counterparts. His experiences made it possible for him to imagine more readily the personal emotions associated with a votive offering. S tudies of ancient votives acknowledge the essentially military character of some offerings, but do not often connect them with the complex emotions of war. 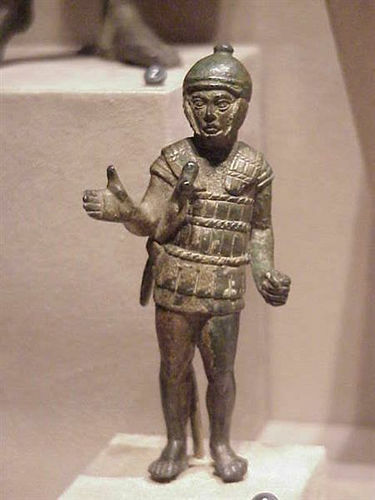 Bronze figurines of Hercules, or of youthful warriors and dedications of arms and armour are regularly interpreted as offerings made in gratitude for, or anticipation of victory in battle, or linked with the coming of age of young men and the assumption of warrior status within their community. Consequently, they are seen as celebrations of conflict and of traditional ideals of warfare. But such offerings may also have been made on the occasion of a safe return from battle (successful or otherwise) like those McCartney saw in Naples, including bullets or bayonets that could have killed the dedicant or the items which saved them. Maybe the ancient world was no different – a helmet might not always be emblematic of victory, but simply of heartfelt thanks for survival. It is also not usually suggested, but perhaps could be, that bronze warrior figurines were dedicated by the friends or family who were left behind, foreshadowing the ‘many women with tragedy written upon their faces’ who knelt before the statue of Joan of Arc in the cathedral of St. Andre, Bordeaux in 1917 (McCartney, 1918, p. 445). Musing on these parallels made me think about several things that I’ve not yet managed to formulate further. 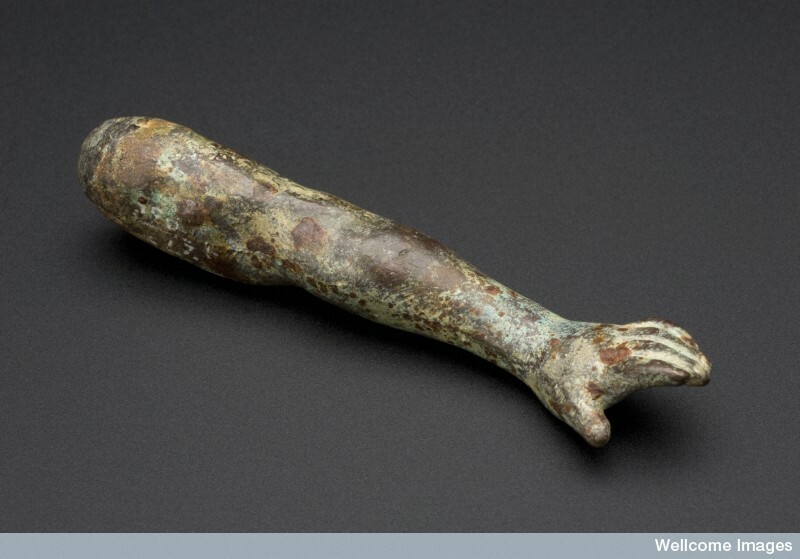 McCartney notes – but leaves largely unexplained – the presence of ‘representations in silver of parts of the body’. In ancient Italian contexts anatomical votives (more commonly made from terracotta, but also miniature bronze items) are usually connected with traditionally domestic issues of health, disease, illness and everyday injury, but might we also think about them in relation to conflict? Many men will have been injured, losing limbs and suffering a range of injuries. Others may have made offerings for their own safety whilst on campaign or in thanks for safe return. Some may have asked the gods to help them demonstrate courage, bravery and heroism, or gave thanks that others with such virtues had been sent to protect them. 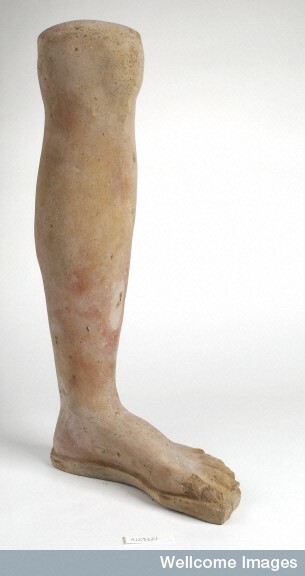 Initially individual body parts may not seem appropriate representations of going to, or returning from war unless they refer to injuries sustained in battle. A warrior figurine seems, on the surface, a much more fitting acknowledgement. But war can be a brutally personal, and physical experience requiring bodily strength, fortitude and ability. The strength of one’s spear or sword arm could be vital. It might not be too much of a stretch to imagine that the protection offered by the powerful arm of a fellow soldier might be acknowledged with an ‘anatomical’ model. War also produces a range of complicated emotions and ways of thinking, so perhaps we might also consider examining models of feet from the perspective of marching to or from battle, as emblematic of a person returned safely to stand in that place once again, or in even more abstract terms – that one’s feet might stay on the ground, that they would not run away but stand firm, even that the person would remain on this earth. As far as I am aware no study has been able to associate a rise in anatomical votives with particularly bloody periods of warfare, although it may not be a coincidence that in Italy they peak during the period when Rome was (sometimes aggressively) expanding. Even if warfare was limited, a perceived threat to the body and the disintegration of existing identities that such political expansion might produce could perhaps prompt people to dedicate votives which represented the fragmentation of the body. Fears and concerns about conflict can sometimes manifest themselves in unexpected ways. McCartney, E.S. (1918). Votive offerings and the war. The Classical Journal, 13(6), pp. 442-6.